The programmers are CP210x (Silicon Labs) units with ESP Easy logo on them. The exact kind we're using ourselves. So let us hear from you! You have until September 16th. Exact deadline in hours a bit vague, but 21:00CEST sounds cool. Last edited by grovkillen on 08 Oct 2018, 09:28, edited 2 times in total. Temperature, ambient brightness, light switches (remote controlled and fixed ones), door bells, motion, IR, and much more - all this can be sensed or actuated with ESP easy. It is an out of the box Jack of all trades. There is not much missing (speaking of missing, AWS IOT GW/secure MQTT support would be awesome, continuous measuring/sensing would be nice). But the the best is the community and your commitment, TD-er and grovkillen. I hope the project continues and grows. Thank YOU! "Ahmehn" as I would say in Sweden. Super kind words, you're always gonna be the first poster. That is an extra point in its own. The name says it all esp easy, it is EASY! Arguable the easiest and fastest platform to get something working fast with esp devices I came across. Great for beginners and for the more technical, you can do clever things in rules with some pseudo programming in rules, and even develop plugins and compile your own binaries. Sure there are some things that can be even better, but full respect for the developers who did it all on their own time. Since finding out about Espeasy, just about all my esp devices been loaded with Espeasy firmware, it is also so easy to integrate with mqtt and node red. It is just so easy! I loved ESPEasy since 1st time I tried when I was looking and testing any ESP8266 firmware available! Coming to me I am using it for some of my home automation in a kind of always-WIP-mode but I wnjoy it and I do it mostly for fun! As well with my very, very, very limited free time try to contribute writing and (trying to...) maintaining fwe plugins that I had to come int outage in some of my projects and as well I like to design and build my own unique devices when I can't find anything on the market (you can check my wiki-page on the signature). Great job guys, I'll setup Patreon support soon as I truly believe this is a great project that deserve recognition by its users!! Thanks to Martinus and all other developers, it has become much easier to automate at home. ESPEasy was the first software I tried wen I entered the world of ESP. Unaware of the possibilities of ESP and unexperienced with Arduino etc. ESPEasy proved itself to be a great piece of software! By going through the code I learned about programming ESP devices. I use ESPEasy to gather information about my utility consumptions. For the last one I developed my own plugin This was very informative. All was not possible without ESPEasy! So thanks guys (and girls)! After one year i decided to try the ESP8266 and i stumbled upon ESPeasy. During the first installation i couldn't believe how easy it was to configure almost everything via the web browser. And i could do changes OTA via browser without taking the sensor apart!! How cool is that??? There was no going back any more. The feeling reminded me of my first smartphone. I always thought i don't need it... but the moment i had one i realized the impact it had for new possibilities and ways doing things. I felt very similar after i set up my first node with ESPeasy. But i have to say that the two big guys here are doing a fantastic job which is needed to survive for a longer run. 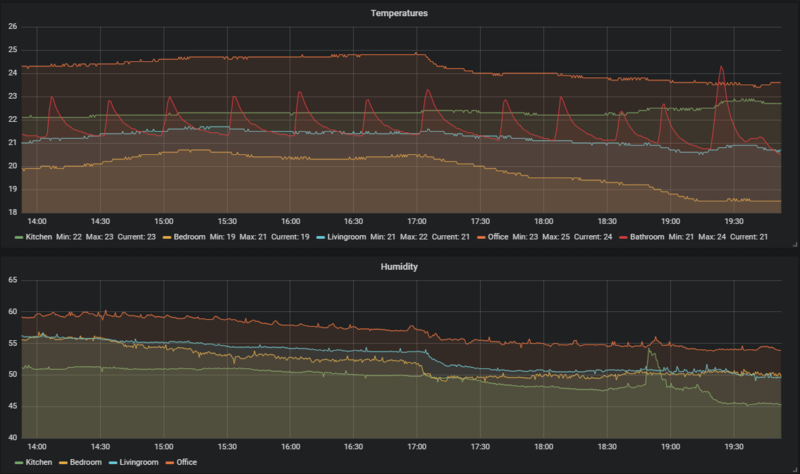 I started using ESPEasy as a data collector for my central heating. 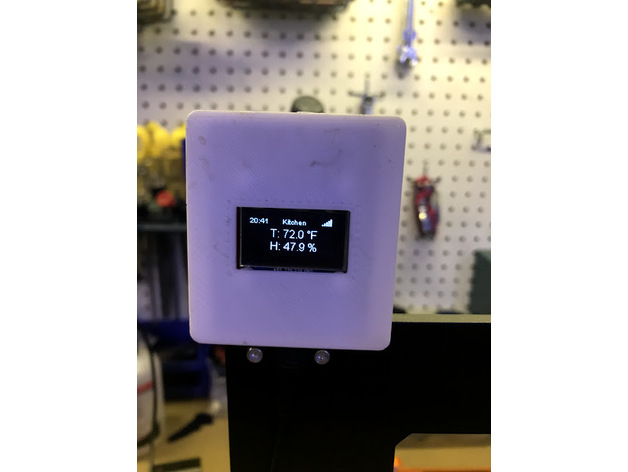 It replaced my own solution where I used my first ESP8266 to send temperature data to the cloud. What I really liked from the beginning was the high configurability of ESPEasy and the large amount of sensors that are supported. If something is not like I want I am also able to change it- the code is well structured. But, the whsh to change something becomes increasingly rare! The ESPEasy is extremly powerful! 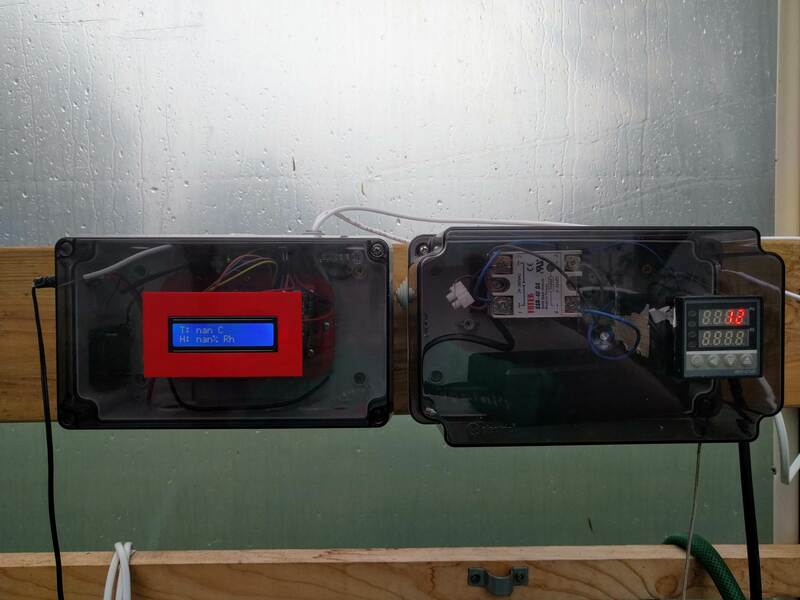 Now I have ~15 devices running measuring Temperatures, Humidity, soil moisture, air-pressure. Some of them are solar powerd (I ma looking forward about their performance in winter...) I collect data on a Raspi with influx and grafana. I just became a Patron with the hope that this will boost the development even further!!! I posted pictures in another thread - viewtopic.php?f=4&t=5777&p=31062#p31062, but I'm basically using ESPEasy to replace custom-written software I developed for the NodeMCU Kube multi-sensor. The switchover was super easy and a no-brainer once I realized how hard it would be to maintain a separate piece of software and add support for new sensors, while they are already supported by ESPEasy. Loving it so far, keep up the great work!! Next monday I will give an introduction about Domoticz and ESPEasy for the Dutch computerclub 'HCC' (see https://opensource.hcc.nl/33-vervolg-op ... xpo-lezing) . Recently the painter came to paint my house, also painting my frontdoor. After that the frontdoor had to be left open for hours and hours. 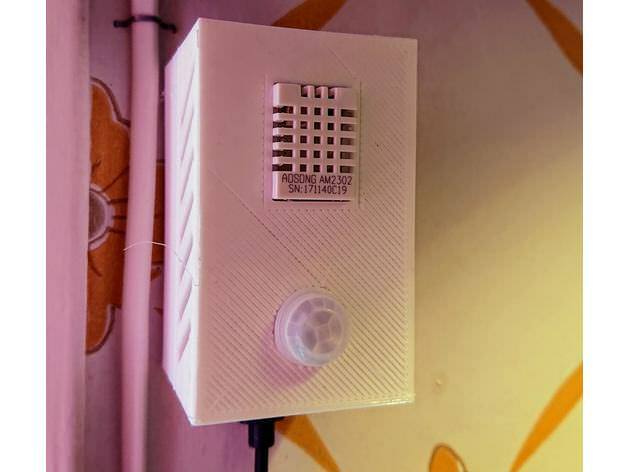 So I (re-)used the movement-detector that normally activates a display when I am in my hall, to send a buzzer command to a dedicated ESPEasy in my livingroom, connected to a buzzer. As soon as someone moved in the hall, I heard the tune, and was warned. The only thing I had to do was to flash a current image into the dedicated ESPEasy device (Wemos D1 mini), as the buzzer is a relatively new ESPEasy implementation. As flashing this update could be done OTA, that also was very easy. Wow, cool that you have that many attending the event! I have been using ESPEasy for at least 2 years now and with every new release I am more and more confident that with time this is going to be the best solution for the iot diy stuff. It is easy and it is fun and it will test the noobs (my self included) to try new things and to get good results in the process. Just because it does everything I need. On top:I'm FHEM user and no other firmware connects that easy as ESPeasy to FHEM. All nodes send information to my Home-Assistant install and with automations I controll all my lights and heating using that and ESPEasy througout the house! A couple of outdoor temp sensors that send the data to a online DB with temperatures, one in each direction of the house to avoid sunspikes. So why I love it... because it's simply amazing, just a quick flash and then you can add what feels like a gazillion different devices, I've ordered a bunch of flow meters that I plan on attaching to the water system in the house to monitor that way when the dishwasher etc. starts and how much warm water is getting used... One idea is to have my Google Home Mini's telling whoever's in the shower that they should hurry up after using the hot water for more then 10 minutes! So this is not the end of my use of ESPEasy rather the start, I've ordered a bunch of Sonoffs that I plan to flash with it and a couple more NodeMCU's during the winter! I will be leaving in a few hours to meet Jimmy and then we will pick a list of replies here. The one posting (a good post, no spam or bump) closest to 21:00:00CEST will get two programers! AWS IOT GW - maybe not straight from the ESP8266 but through a "ESP Easy Gateway" maybe? The community is still growing and with that a even better commitment! Regarding configuration hardware we will try to make this a more out of the box release with common hardware units already setup upon flash. Wow great story, we are really happy to hear how you learned to program by using our source code as examples. Wow wow wow Good job! Data collection is one of the areas we are trying to improve. Hopefully it will get even easier to upload data to the cloud, we have some ideas in that direction. That box looks really nice! Learning, it seems that this is a common positive effect of using ESP Easy. Happy to hear that, we must try to get even better at it. My fellow wiki writer, you're a really important member of this community and we are always eager to see what new project you have made. Rules is very powerful and we are planning on extending it even more in the future. Really nice build you got there! Thanks a lot! really apreciated!!! If your name is denoted with "address unknown" please send me a PM asap and I will make sure to send them soon. PS. picture from me and @TD-er's meetup in Stockholm. We had a great time and met up with some very interesting possible companies that might be interested in us adding support for their hardware. Let's keep our fingers crossed! Last edited by grovkillen on 20 Sep 2018, 14:02, edited 2 times in total. Can you explain more about these nodes? Perhaps better suited in a different thread. I would like to know more about the movement detection as that is something I didn't get working after many tries with various sensors. Still missing three addresses. Tomorrow we will ship! I'm just redoing them and adding a oled for displaying temperature but I'm taking photos and will publish more after that! I also received the programmer. Thanks! Mine arrived as well. Thanks a lot! Got mine today to... now just to figure out how to use it! Received mine today and already tested flashing a test unit I'm currently working with (an advanced LED Strip controller with 5 channels) and it worked just great! It is now my default programmer on my workbench! This evening i came back from holiday and found a surprise behind the front door. Great! Two as we promised! You guys are unbelievable, if like spending your free time in developing this magnificent piece of software wasn’t enough, now you’re also providing us gifts! You guys are incredible!! I know that your devotions and dedications are much appreciated within this great forum but I do know that your work is also much appreciated outside this online community! In the near future, I hope to return the favor! A HUGE thanks for the developers, keep up the good work! Thanks for this great feedback, it means a lot to us. And your implementation of our FW is super exciting. All success to you!